Our company supplies you with its team of skilled technicians in order to carry out your Wi-Fi installation. Take advantage of a guaranteed improvement in bandwidth to benefit from the fluidity of the technology you use. Installing wireless connectivity has become an easy option for businesses, rather than merely something that is available. Our company will ensure that your wireless network offers you a higher-performing packet flow. The wi-fi solutions offered by LGM Solution & Technique make use of the most up-to-date technology. They keep up with the changing market, ensuring a high network density and complete integration with your devices. The technology we install will be compatible with remote communication and geo-localisation devices, smartphones, tablets and videos. The installation will be carried out after a complete survey using the testing software Ekahau, in order to verify that you will have Wi-Fi coverage. Once the report from this survey is produced, it will be returned to the client immediately. With LGM Solution, every device will benefit from a wide range of access points. All the products we offer are of the highest quality and they meet the wifi standards 802.11 a, b, g, n, as well as the soon to be implemented AC standard, which provides higher connection speeds. We guarantee that you will be satisfied with our installation of a central control device, cloud-based or traditional, controlled either physically or with VMWare. Accompanied by our partner manufacturers, Meru Networks and Adtran Blue Socket, we can offer you the solution that best meets your internal and external needs. 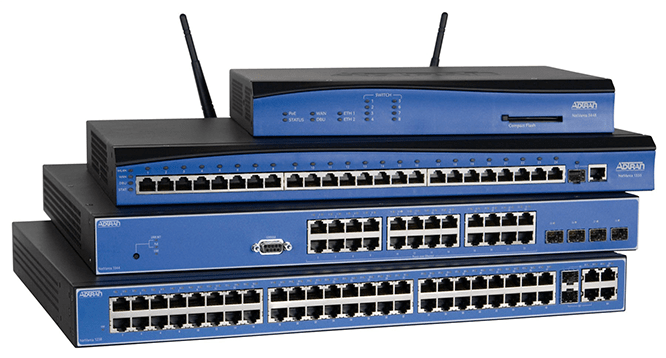 Adtran Blue Socket enables challenges caused by the growth of wireless networking for businesses to be met. This progressive solution uses the power of a virtual environment in its new generation of wifi solutions, WLAN. Wi-fi networks allows modern businesses to communicate wirelessly (by Wi-Fi). This method of communication,using radio waves, can link multiple technological devices, such as a laptop computer and a smart device (iPhone, iPad, etc. ), either directly or via a network. Due to the ensuing progress made in new technologies and mobile tools, Wi-Fi has now become an integral part of everyday life. More and more businesses are opting to communicate by using a more high-performance Wi-Fi network, known as the BYOD. A business providing wireless network access points gives its employees the ability to move from place to place. Their laptops, tablets and smartphones benefit from a constant Wi-Fi connection. No devices require connection or disconnection as long as they are still within the companys Wi-Fi coverage zone. With access credentials or within a certain coverage zone, Wi-Fi devices easily connect to the network: this alone is justification of a successful Wi-Fi installation. A flexible Wi-Fi installation makes it easy to adapt the coverage zone according to your needs. Repeaters allow the coverage zone to be extended if the access points are too weak. Access points, repeaters and antennas are the components of a business wireless network, meaning its installation is simple. Because of this, labour costs are reduced, as the process requires no tools. It is easy to extend or restrict Wi-Fi coverage according to the companys needs.